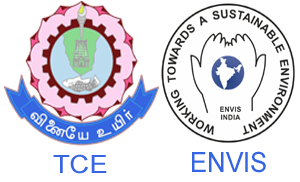 The Ministry of Environment, Forest & Climate Change (MoEF&CC) has implemented a Central Sector Scheme entitled Environmental Information System (ENVIS), with the purposes of collection, collation, storage, retrieval and dissemination of information relating to a variety of themes associated with Environment Sector. ENVIS was set up as a Central Scheme in December 1982 (Sixth Plan). ENVIS is a decentralized system, a web-based distributed network of subject-specific databases. Its purpose is to integrate country-wide efforts in environmental information collection, collation, storage, retrieval and dissemination to all concerned. 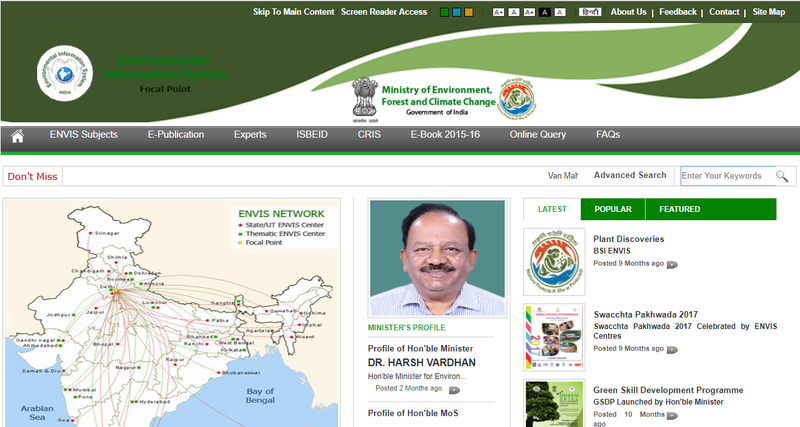 ENVIS, by providing scientific, technical and semi-technical information on various environmental issues, serves as the backbone of policy formulation and environment management at all levels of Government as well as decision-making aimed at environmental protection and its improvement for sustaining good quality of life of all living beings. Its major users also include institutes and individual scientists carrying out research projects and agencies carrying out environmental impact assessment of projects as well as public.